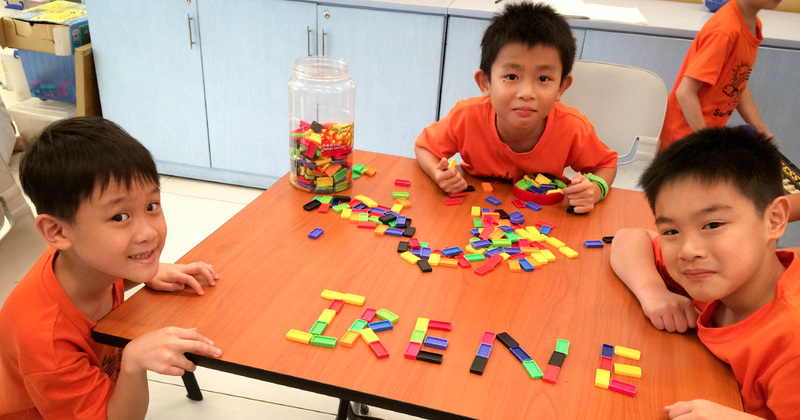 Here at our Student Care Centre, also affectionately called Sunshine Club, we take each holiday season as an opportunity to conduct fun activities to teach the children important attitudes and values. Last December, Sunshine Club had a whole month of activities that centred on gratefulness. Check out some of the children’s art pieces. 1) Grateful like a Porcupine! Based on the above story, we encouraged the children to make their own porcupine art and reflect on the things that others have done for them. The 8-9 year olds made their porcupines from cups and colourful wire, whereas the younger ones did simpler activities such as colouring. The children wrote their 2017 resolutions in appreciation of their friends, parents and homes on the underside of the porcupine cups and on their drawings. Holidays are the best time to explore creative projects. Through some research and hands-on experiments, one of our staff came up with a beautiful yet affordable art project for the upper primary students. All you need is a few drops of food colouring per plastic bag of salt and some patience to knead and shake the bag till the colour is evenly distributed. For our ‘Sand Art’ project with Sunshine Club, we collected and recycled small glass bottles so that each child can create their own unique piece of sand art. When the children were done, the top of the bottle was sealed with white glue to prevent the sand from moving around, and the bottle cap was glued on as well. With permanent markers they wrote their friend’s name on the bottles and exchanged their art pieces as gifts. The gratefulness tree serves as a visual reminder for the children to remember things that they are grateful for. After a short discussion to give the children some ideas on what they can write about, each child wrote their personal thanksgiving on a leaf. Looking through the simple messages by the children helps us to be more appreciative of our own lives as well. It is all too easy to take the things we already have for granted. Lastly, we chose a gift box template that was simple enough for the children to cut out and decorate according to the Christmas season theme. Although December is known to be a time of giving, you can still encourage children to make their own gift boxes or greeting cards all year round for special occasions. Sometimes, it’s only through working and preparing a gift with your own hands, that you truly start to appreciate what it means to give and to be grateful for what you have received. Our Student Care Centre, also affectionately called Sunshine Club, provides comprehensive before and after school care programme for students aged between 7 to 14 years. We seek to keep our services at an affordable rate to help single-parent families, dual career parents and families in need.